FOOD /FUN/ VENDORS & PRIZES! 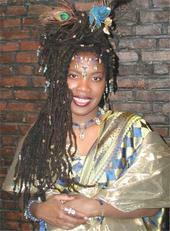 8/4-5 Imani SINGS & Vends at Kemetic NEW YEAR Celebration! 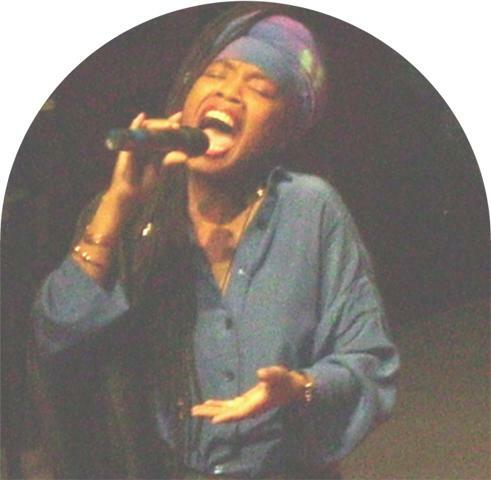 Imani Scott SINGING & Showcasing an array of her Healing, Cultural and Empowerment Products (Sacred Gemstone Jewelry, Crystals, Pyramids, etc) & Services at this awesome Weekend Event hosted by the Temple of Anu! 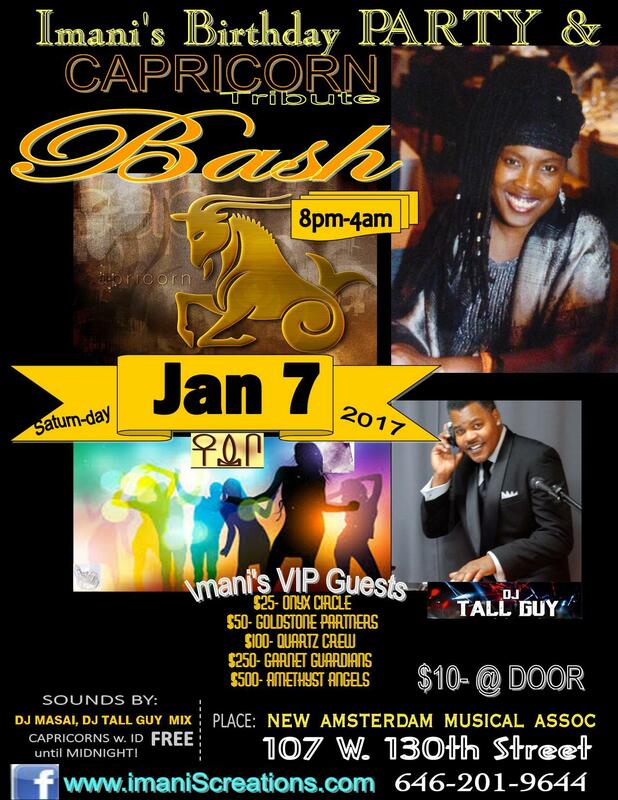 Please Come on out & Enjoy yourself, be Rejuvenated and Support this beautiful occasion at this Kemetic NEW YEAR Celebration Event Sat!!!! Very Easy to travel from New York City! 11/18- Back from CARIBBEAN! COAT & Travel Party! SALE!!! We're BACK from the Caribbean island of JAMAICA, back into the Cold City of New York! 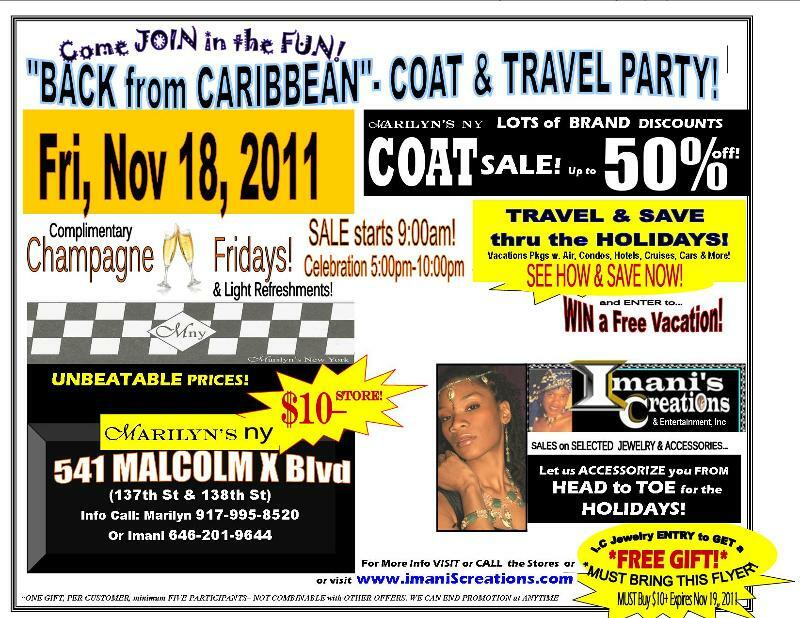 So COME WARM up with us on Friday Nov 18, 5pm-10pm when our Travel Agent partner is having a COAT and Travel Party at her boutique MARILYN'S NY at 541 Malcolm X Blvd (137th & 138th St) Sale up to 50% off even on Designer & Top BRAND Winter coats- starts 9:00am! Selected Jewelry and Accessories from Imani's Creations also on SALE! FREE Admission! FREE Champagne, FREE Refreshments starts 5:00pm! Here's your chance hear more about our great services, as we drop JEWELS on how to SAVE Money and even EARN Money on your HOLIDAY Travels! You may even WIN a FREE VACATION and other prizes! Some FUN in the SUN photos and gifts from JAMAICA will be shared by Imani, so invite or bring some friends, family &/or co-workers! Sat, 6/25, Tribes of Humanity- the 2nd Coming Celebration! Greetings Family. I will be honest with you, I am at awe with the People, the support, the Love, the Community, the Network of Light, the lineup, the wisdom. I am at awe with the Movement, the Gathering & its potential as we come together. Personally, when I say this is history in the making I do not say it lightly. Tribes of Humanity Global Alliance is a reality, a catlyst, hearalding the paradigm shift & infinite possibilties. It’s designed for business women who want to learn strategies and tech-niques for addressing key business problems, from the start-up to the growth phase of your business. If you are seeking to increase your ability to achieve and succeed, this invitation is for you. Travel: Bus: M2, M60, M100, M101, Bx15 to 125th Street. Juneteenth is the Oldest Known Celebration of the Emancipation of Slavery! What Makes a DAD?! Click Here or on photo below! Please, enjoy &/or share with someone Special! 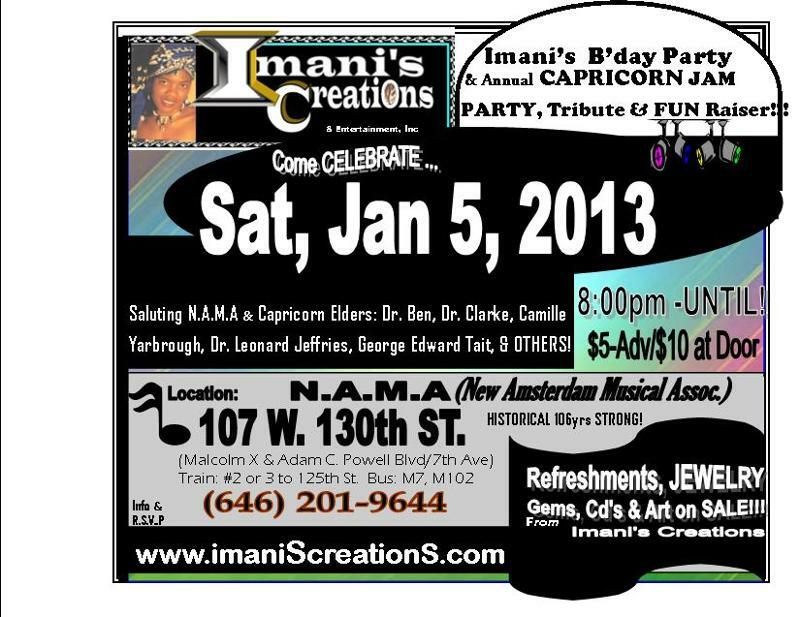 Sat 1/17/09 Imani's Bon VOYAGE Birthday Party & 14th Annual Capricorn Jam! It's a NEW DAY... What Your vision for 2009?! Come Share it, Declare it & Let's Make it Happen! 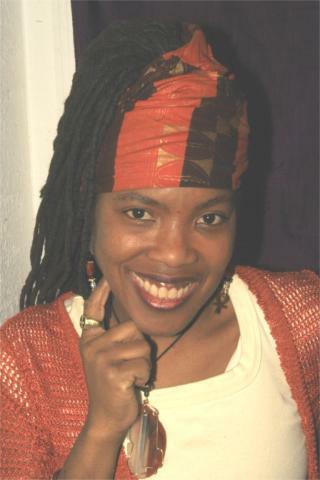 JOIN the Birthday Celebration... "YET, STILL I RISE"
Imani C. Scott (born Jan 7) Entrepreneur, Singer, Jeweler, Travel Agent... celebrates her life & life work giving tribute to her Capricorn Mentors, Elders, Family, Friends, Ancestors, & MORE! 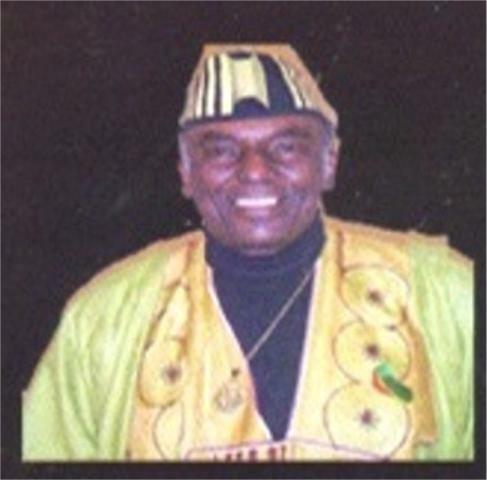 Honoring CAPRICORNS- Amy Scott, 1st Lady Michelle Obama, Dr. Leonard Jeffries, Dr. Ben Jochanan & OTHERS! 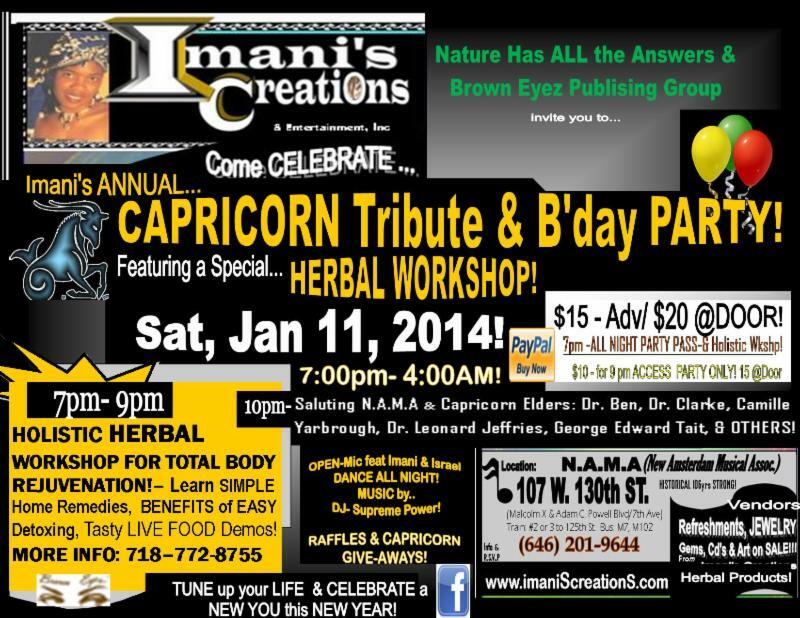 *FREE Gift to 1st 10 Capricorns to attend with a guest! 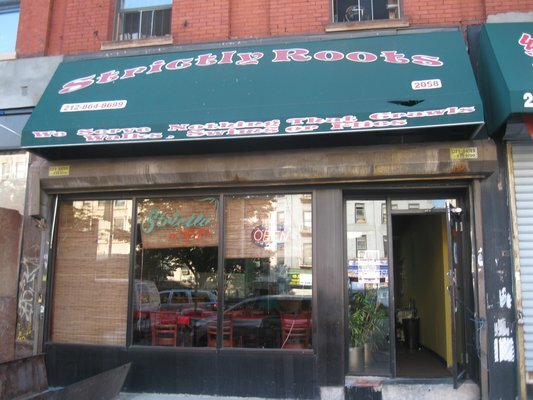 Featuring: Open Mic- Come share your Talents/bring your instruments & Dancing Shoes! Shop Imani's Jewelry & Gemstone Showcase- enjoy deep discounts! 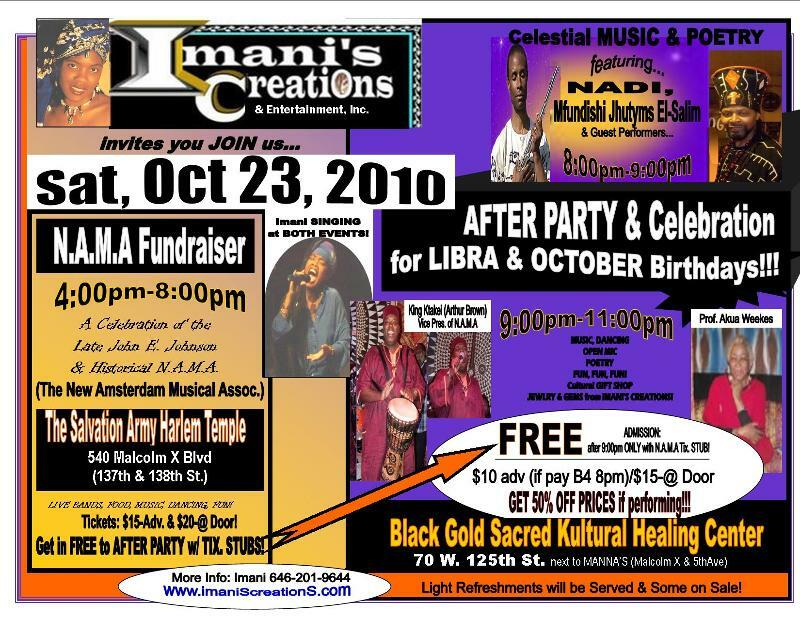 Great Soulful MUSIC, DANCING til DAWN & MORE! RAFFLES, FREE PRIZES & VACATION Give-a Ways! Bring a Friend or Three! Date: Sat, Jan 17, 2009 7pm - Dawn!